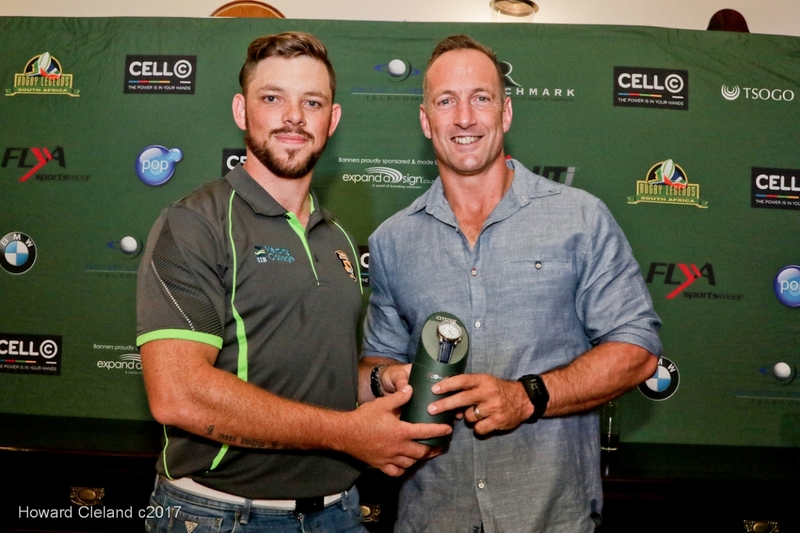 The KZN Midlands welcomed the SA Rugby Legends, sponsors and their guests with warm autumn sunshine as the Springbok Atlas bus drove into the picturesque Bosch Hoek Golf Club for the 6th edition of the annual SA Rugby Legends golf event. 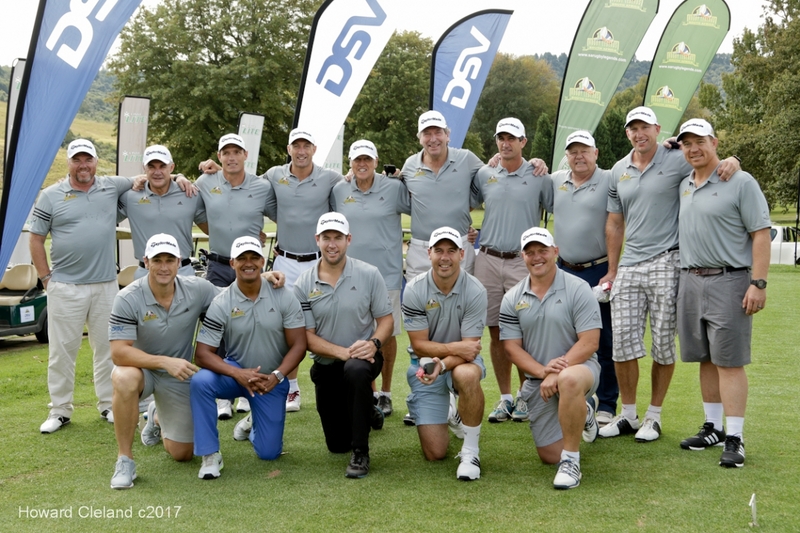 Sponsored this year by global logistics firm DSV, the Invitational featured a large group of SA Rugby Legends who travelled from around the country to attend the event. 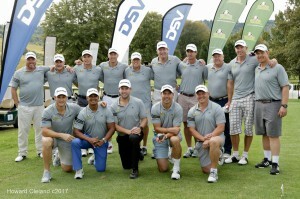 The line up included Ray Mordt, De Wet Barry, John Smit, Henry Honiball, Butch James and Breyton Paulse. Carte Blanche presenter Derek Watts was MC for the day, entertaining guests at the pre- tee off draw and prize giving ceremony as well as getting in a round of golf. Legendary rugby commentator, Andy Capastagno, a Midlands farmer when, he’s not behind the mic, also joined in the day, saying it was a better option than having to dip his cattle for ticks. 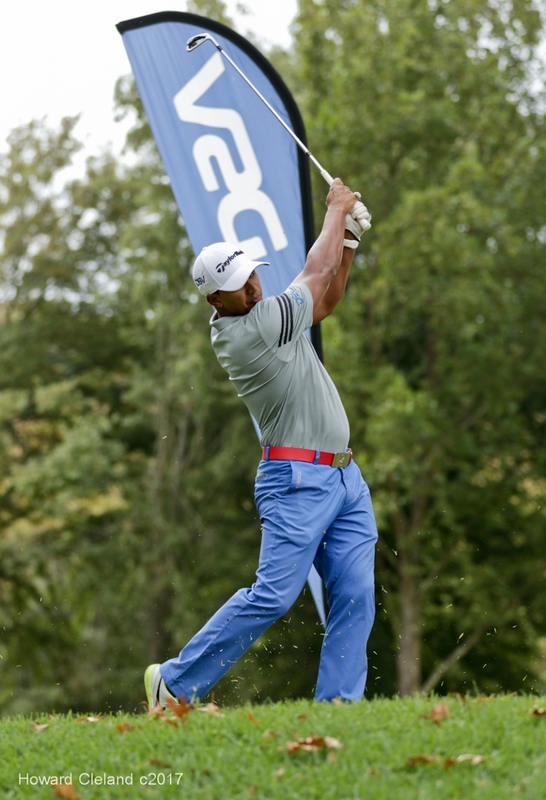 Once the draw had decided which Legend was assigned to the four-balls it was tee off time. 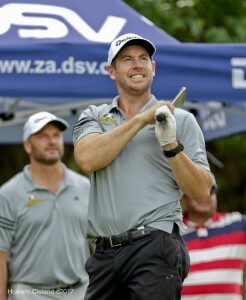 The golfers were impressed with the championship condition of the course. Andrew Clark, Director of Golf at Bosch Hoek, and his staff have been hard at work preparing the course, not only for this, their flagship golf day, but also for the upcoming South African golf course ratings. Butch James cleaned up the individual prizes for longest drive on the 6th & 18th as well as taking the top prize of a mid-week two-night stay at Springbok Lodge, along with is four-ball from DSV. 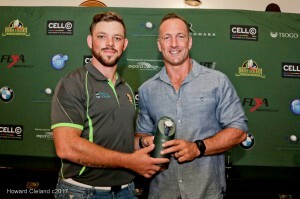 Stephan Bothma was the best individual player of the day with 45 points, winning himself a beautiful Citizen Eco Drive watch. The top 5 four-balls were all very close and it was literally just a point’s difference when the final scores were tallied. Craig Ireland Sun Hotel in SA incl breakfast. 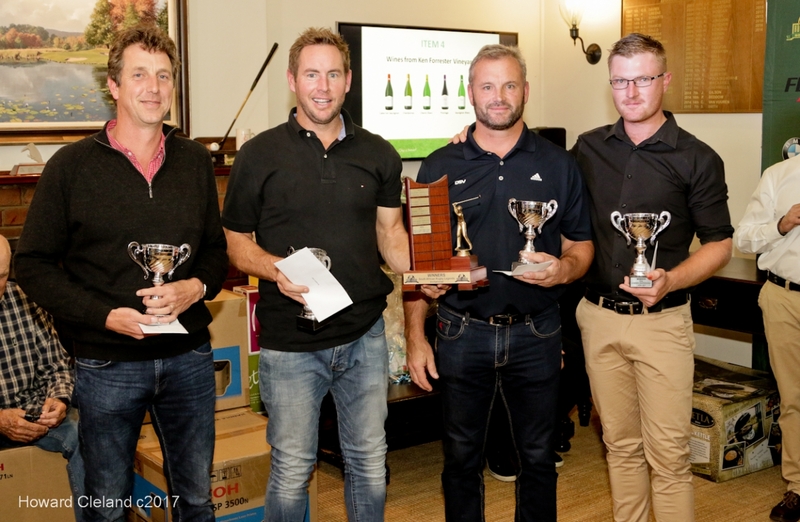 The rest of the field did not go empty handed with a wide range of fantastic prizes on offer for each participating team. 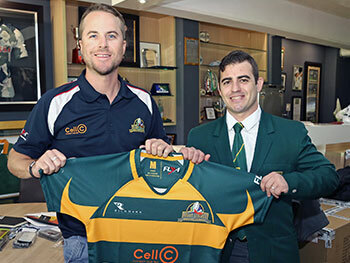 The auction raised over R46,000.00, with items including a hospitality package for the SA vs France Test Match at Growthpoint Kings Park, a signed framed photo of the two Springbok World Cup wining captains, a 150-bottle collection of fine Ken Forrester wines and a signed Springbok Opus. 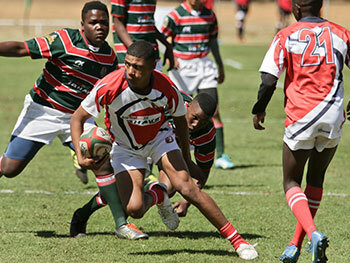 All funds raised will go towards SARLA’s rugby development projects. 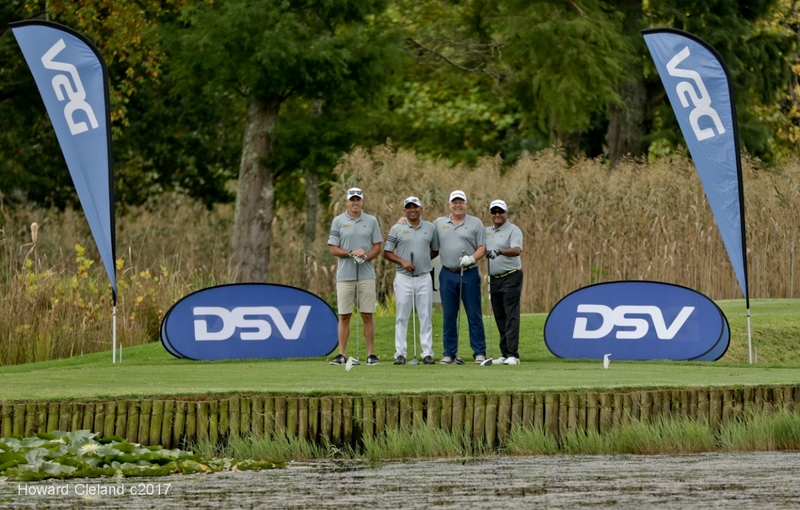 Thank you to Bosch Hoek Golf Club for once more hosting a fantastic event, to DSV for their first year of title sponsorship and supporting our event, and to all the other sponsors and guests for their on-going support. 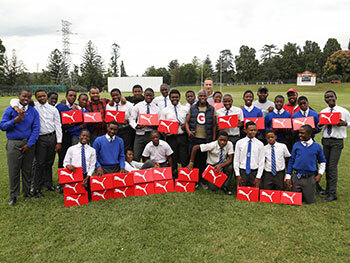 And, especially, to our Rugby Legends for giving of their time to join us for the day.